It’s high time, writes Senator Peter Harder, for the Upper Chamber to act on the Auditor General’s recommendations on expenses. This article was originally published in Policy Options on September 15, 2017. During the first half of the 2010s, the Senate’s reputation was badly damaged by years of critical audits, political intrigue, police investigations and suspensions of Senators. The ripples from these events are still being felt today. And, to its credit, the Senate is working overtime to ensure that the Senate expenses scandal of 2012–2016 becomes nothing more than a distant memory. But to ensure that the scandal remains a historical anomaly, genuinely independent oversight of Senators’ expenses and related decision-making needs to be established, consistent with the recommendation of Michael Ferguson, Canada’s Auditor General. ‎Currently, for all intents and purposes, it is the powerful Standing Committee on Internal Economy, Budgets and Administration, known as the Internal Economy Committee, that is the ultimate authority on Senators’ expenses. This structure is inherently flawed, because it is composed solely of Senators, a dynamic that — whatever the calibre of its membership — raises an obvious appearance of conflict of interest. Ferguson offered up many recommendations when he reported on Senators’ expenses in June 2015. Recommendation 52 was strong and clear: “The oversight of Senators’ expenses should be performed by a body…the majority of whose membership, including its chair, is independent of the Senate.” This is important because, as the report also pointed out, a structure in which Senators set rules that apply to themselves, and have the authority to make decisions about how those rules are applied, can give rise to a perceived lack of impartiality, because those Senators may be viewed as looking after their own interests. Faced with such an inadequate system, the public may be forgiven its cynicism. At the very least, this structure is conducive to generating the perception that the powerful Senators constituting the Internal Economy Committee may protect their own allies, shelter the Senate from scrutiny or even, in an overtly partisan context, settle political scores. Given this context, Ferguson’s call for the Senate to review the mandate and structure of the Internal Economy Committee and create an independent oversight of Senators’ expenses should be no surprise. Senators must acknowledge that it is inappropriate for them to stand in ultimate judgment of their peers without a reasonable degree of transparency and independent oversight. 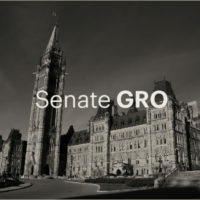 Canadians were rightfully taken aback upon discovering that Senators whose claims were found to be inappropriate by the Auditor General also sat in judgment of other Senators involved in the turmoil. When taxpayer funds are involved, when people’s reputations and livelihoods are at stake, fairness, independence and transparency must not only apply, they must be seen to apply. Although it is time for Senators to sit at arm’s length from controversies involving Senate expenses, an unassailable principle of Canadian democracy is that the Senate, as a parliamentary institution, is a self-governing body. As was stated on more than one occasion over the past few years, “we are masters of our own house.” This is true. And the Senate proved this point when the Standing Committee on Ethics and Conflict of Interest for Senators recommended the expulsion of Don Meredith, an unprecedented move that led to his resignation. But this recommendation was made only after the Senate Ethics Officer, Lyse Ricard, released detailed findings in March 2017 following a lengthy investigation. The ethics officer operates at arm’s length and is independent of the Senate. Ricard’s report produced a statement of fact. The Senate committee’s only duty at this point was to consider the findings and recommend a sanction. Independence was inserted into the process, yet the Senate was no less a self-governing body. So when it comes to policing ourselves and each other, it would make good sense to heed the Auditor General and move towards a system in which an outside, independent individual or body does the policing. Canadians, who collectively footed the $23-million bill for the Auditor General’s report, have reason to expect it. Therefore, Senators have a duty to meet the imperative of independent oversight while respecting the principle that the Senate is self-governing. While this may be a high-wire act, it is achievable. The Senate should create an independent oversight body to, among other responsibilities, review decisions of the Internal Economy Committee on the expenses incurred by individual Senators and determine whether it has come to the correct decision; conduct a full, independent review of the Senate rules, policies and guidelines that apply to the expenses of Senators; oversee the Senate’s internal auditing, with the exclusive authority to select a Senate internal auditor or an outside auditor; and review annual and interim financial statements. In my view, to meet the expectations of Canadians, it is crucial that this new body have a majority of external members and a minority of Senators. But because, in the opinion of many current Senators, the principle of senatorial self-government requires that Senators be the ultimate decision-makers, an acceptable compromise would be to establish an oversight body that would not, at the time of its initial creation, have binding power and authority upon the Senate. Rather, it would have the power to make its findings available to the public, although not to enforce them without the consent of the Senate. If the Internal Economy Committee were not to act on the findings of the body, all documents relating to a given file would be released to the public. Transparency is a powerful sanitizer, and one would expect the Internal Economy Committee to routinely adopt the course of action recommended by the independent body. In this manner, a Senator whose expenses are being questioned would have the right of appeal (something not available in the past) and the right to be heard by an impartial panel where the majority are not in a position of potential conflict because they are judging their peers. Yet the principle of self-governance is fully upheld. Indeed, far from undermining this principle, the creation of the independent oversight body would constitute an appropriate and welcome exercise of the Senate’s privilege to regulate its own affairs. In my opinion, this would hold true even if the body were designed to have binding power and authority over Senate expenses. The principle that the Senate is a self-governing institution does not preclude the insertion of a healthy dose of fairness, independence and impartiality in the oversight of the expenditure by its members of taxpayer dollars. Rather, modern principles of good self-governance call for the Senate to govern itself by doing exactly that. As a matter of fact, when it comes to independent oversight, our Westminster-system cousins in the United Kingdom House of Commons and the Australian Parliament are light years ahead. While these parliamentary bodies are no less self-governing than the Senate, the U.K. House of Commons established the powerful Independent Parliamentary Standards Authority in 2009 following revelations of systematic abuse by MPs (these included inappropriate claims for dog food, moat cleaning, garlic-cleaning sets, roof repairs, horse manure, a ride-on lawn mower, jellied eels and a floating duck house), and the Australian Parliament launched the similar Independent Parliamentary Expenses Authority in July of this year. These two models may not present appropriate frameworks for challenges facing the Senate of Canada, where a more modest and less costly approach would be preferable. But they show that parliamentary bodies in similar jurisdictions have been willing to adopt modern governance practices, examples that the Senate ought to follow. Historica Canada has described the Senate as “Canada’s best think tank” — and well it should. The Government of Canada is still harvesting the work of former Senator Michael Kirby and his committee’s 2002 report on mental health, one of the many first-class studies produced by the Senate. The Senate has also changed the course of legislative history for the better, as exemplified by the unprecedented tie vote that defeated the 1991 abortion bill. The Senate was not idle then, and the Senate is not idle today. As the public eye focused on the Senate expenses scandal, Senators appointed by previous Prime Ministers strengthened the rules on ethics and transparency, through measures that included a new proactive disclosure policy for travel and hospitality expenses. With the appointment en masse of independent Senators, the Red Chamber is ready to do more. Canadians demand transparency, and an independent body will provide exactly that. The lesson of the past few years is that light kills germs. The Senate has a duty to shine the light on itself in order to regain the confidence and trust of the people and country it serves.